The quickest way to ruin a business owner or fleet manager’s day is to tell them an engine in one of their machines just blew up. All they see is dollar signs. Money to replace the engine. Losses from the downtime and decreased productivity. Replacement of parts and engines is part of doing business, but it’s the unexpected failures that can cause the most damage. That’s why we are huge proponents of proactive remanufacturing. Not familiar with the term? Think of it as an annual checkup with your doctor or preparing for natural disasters. It’s the process of continually partnering with our customers to stave off that catastrophic failure and working through a product’s life cycle to maximize uptime. Proactive remanufacturing really starts with the OEM. We maintain a close working relationship with Perkins to stay abreast of product changes, updated training and maintaining a parts inventory that is most relevant to our customers. 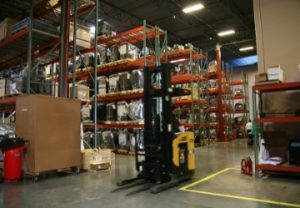 One example of how we do this is with our large inventory of engine cores that are ready to be remanufactured for any application needed. 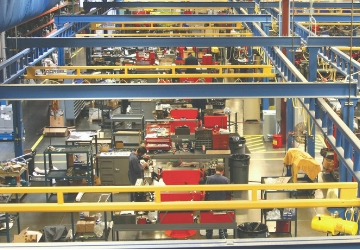 The reman center has the capacity to handle 10,000 engines a year. Standards are constantly changing whether it be related to emissions or new engine engineering designs. Our facility in Ridgefield, Washington, includes a state-of-the-art training center staffed with experienced and factory-trained instructors. The shared knowledge from our experts allow them to mentor technicians and help them stay informed about the newest practices and evolution in engine diagnostics and maintenance. Our training opportunities are not exclusive to our technicians. We also share this knowledge and hold classes all year for technicians within our dealer network. This demonstrates the importance we place on dealers within our area of operation. We serve not only as a trainer and product supplier, but partner in those businesses. We provide maintenance hotlines so dealer technicians who have questions can quickly connect with one of our trainers to get answers. This holistic approach ensures customers are receiving the best products and care to keep their Perkins engines operating at peak efficiency. The approach we take ultimately benefits our customers when it comes time to consider engine replacement. The relationships we build allow us to help end-users make the best decision, one that will ultimately deliver value and lessen the impact of such a major decision.